Spain, Here We Come | Nam Writes. I finally have a big trip booked and placed on the calendar. With the crazy election cycle this year, I haven’t taken a big trip since Vietnam in November. There was a short jaunt to southern Utah over Memorial Day weekend, and a few weekend trips planned to various U.S. cities revolving around work. But you know that adrenalin pumping, saliva watering sensation when you book the flights for a big trip? I finally have that feeling. I asked M where he’d like to go and he picked Spain. Being the art aficionado that he is, that makes perfect sense. He’s dying to spend hours (if not days) in the Prado in Madrid. We are both fascinated by religious history and can’t wait to hit up Toledo, Cordoba, Seville, and Granada. And I can’t wait to see the crazy modern Gaudi houses in Barcelona. We will start in Barcelona, make an oddly shaped U down to Andalucia, and end in Madrid. The map below shows our basic itinerary with potential side trips included. I booked an amazing business class flight from Washington, D.C. to Barcelona on American Airlines. It costs 115,000 miles (57,500 per person) and a mere 11 dollars. Even better, we fly out of DCA – only 10 minutes from my apartment. There are no direct flights to Spain from DC (who knew? ), so we have a short stopover in JFK. M has never flown in business class so I am over the moon about sharing this experience with him. That American has an amazing business class product will make this trip that much sweeter. Our flight home is less than ideal, but we were dealing with mileage constraints and limited award inventory since it’s Christmas week. 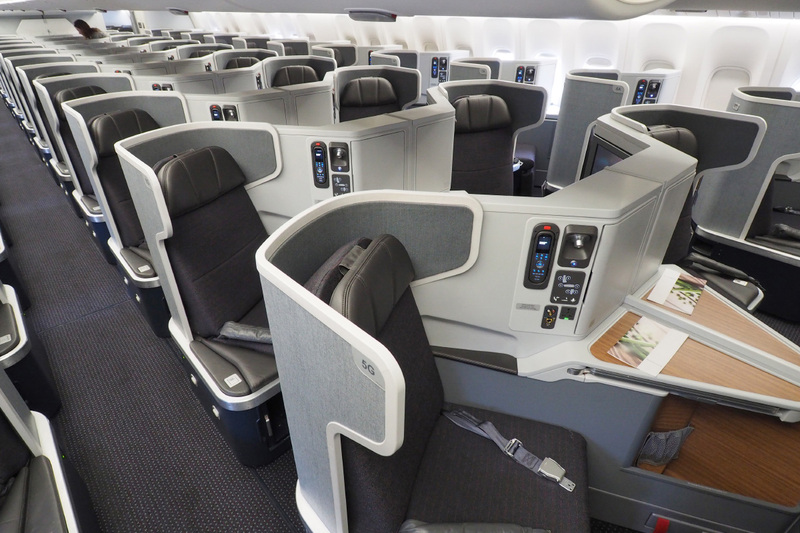 I booked two economy seats on Lufthansa for 60,000 United miles and $142 via Frankfurt. Not the best flight, but pennies compared to what a ticket would cost. And now comes the fun part – the planning. The hotels, the trains, the sights, the little off-the-beaten track stores and markets – I love the process of putting a trip together. There are so many things we want to see and so many parts of Spain we had to leave off the list. We are not so young that we can hop from city to city every day, and we both like to travel at a more leisurely pace – getting to know the nooks and crannies of cities apart from the major tourist attractions. And so I crossed the Straits of Gibraltar and a ferry to Morocco off of our list, and M begrudgingly acknowledged that we probably won’t make it to Aragon. We will just have to come back a second time!